Dubai: Filipinos in the UAE, President Duterte wants you back, a senior official has said. 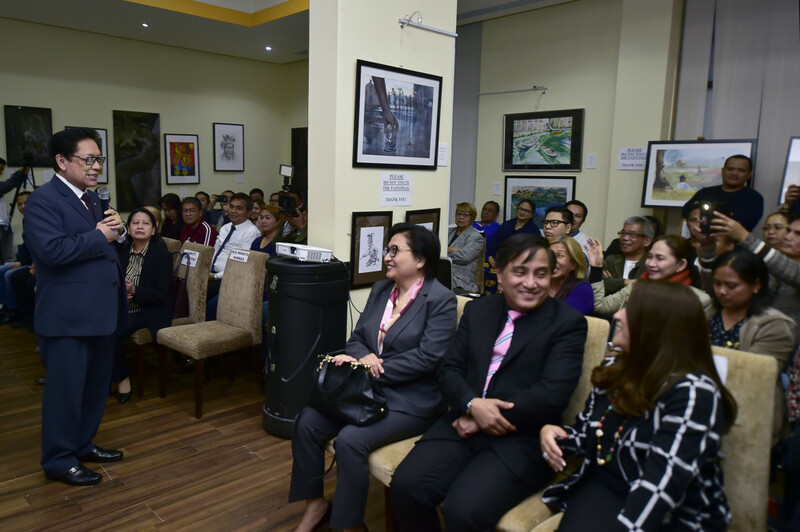 Philippine Department of Labour and Employment Secretary Silvestre Bello III shared this message of the President Rodrigo Duterte on Monday night at the consulate’s first town hall meeting in Dubai attended by the senior officials and the Filipino community. “You should go home now,” Bello said, expressing his optimism at the Philippines’ resurgent job market. The labour secretary was in the UAE leading a Philippine delegation to the World Government Summit from February 10 to 12. The president’s final goal is to bring you all home because he is aware of the social impact of the Filipino diaspora. OFWs leave the country to work abroad at the expense of their families. He is hopeful that once the government programmes to give you decent-paying jobs are in place, he can win you back to the Philippines. An estimated 600,000 to roughly one million Filipinos are working in the UAE mainly in the hospitality, aviation, construction, retail, health care, and education sectors. The ‘Build, Build, Build’ Project is among the reforms introduced by the president to accelerate infrastructure and develop industries that will “yield robust growth across the archipelago, create jobs and uplift the lives of Filipinos”. The administration will put its key focus on infrastructure projects targeted to reach 8 to 9 trillion pesos (Dh634 billion) from ‎2017-2022. The president’s 10-point Socioeconomic Agenda is expected to reduce poverty from 21.6 per cent in 2015 to 13-15 per cent by 2022. As of November last year, a total of 35 out of 75 infrastructure flagship projects have been approved with a total investment requirement of 1.54 trillion pesos. The plan is similar to the Duterte’s AmBisyon (Ambition) Natin 2040, where he envisions that by 2040, no Filipino will be poor and that they will all become middle class and OFWs will be back in the Philippines for good in the service of the country. Bello is aware that Filipinos with high-paying jobs in the UAE may not consider moving back to the Philippines yet. But it may be a consideration for many skilled and semi-skilled workers should they want to earn a decent income while being with their families. 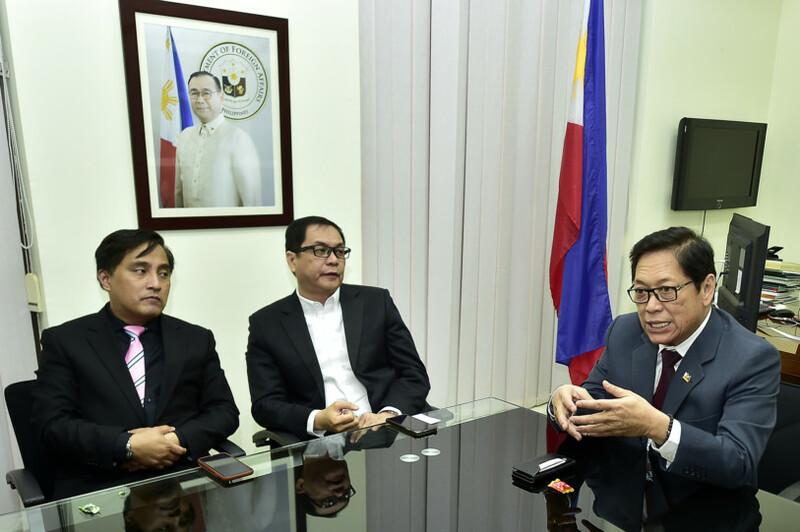 During the meeting, Bello also cautioned Filipinos on the issue on human trafficking. Some 280 distressed Filipinas are under the care of the Philippine labour office in Dubai. All of them were lured to the UAE by illegal recruiters, some of whom are allegedly in connivance with Philippine immigration officials. Bello said an inter-agency council is tackling the matter. But in order to nip the problem in the bud, everyone has to cooperate, especially the trafficked victims. “Most of the time, the victims are what we call ‘willing victims’. They know that they are participating in an illegal activity. But they still do it. They allow themselves to be trafficked. What makes it worse is that once the illegal recruiter is apprehended and charges are filed in court, the victims disappear after a while,” Bello said.